As always, more of these to come on our FB page. 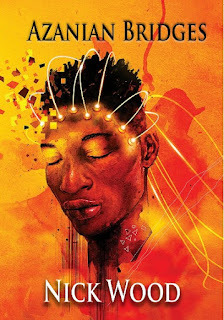 Read this interview in which he talks about psychology, empathy, racism and decolonizing language, and also gives us a long list of recommendations of African SFF and comics. Fascinating stuff. 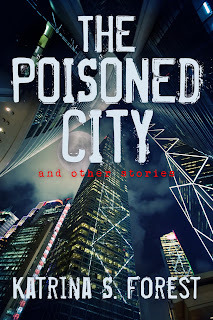 This week at the TFF blog we had a visit from Katrina S. Forest, whose wonderful mid-apocalyptic short story “The Poisoned City” appeared in The Future Fire #31 back in 2014, and a revised version is now the title story in her self-published SF and Fantasy collection The Poisoned City and Other Stories. She answered a few questions about her writing, collaboration, and learning d/Deaf sign language. Read our interview with Katrina S. Forest here. This week sees the release of TFF Issue 2016.39, the last of this year, featuring wonderful work from seven authors and five illustrators. We’re really proud of this issue, and feel it does justice to a hard year. 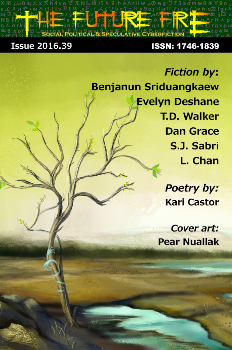 If you like any of the work in issue #39, please feel free to leave a comment at the Press Blog saying so, or even leave a rating or review at Goodreads. We did get one last micro-interview from one of the artists of issue #38: Miguel Santos, illustrator of “Siv Delfin” talks about his illustrating style for this dystopian noir piece, and his ideal wonder-drug. 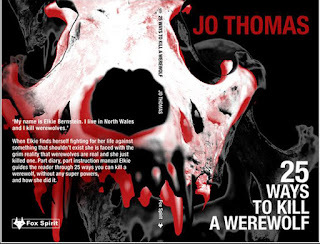 Last week we posted an interview with Margrét Helgadóttir, editor of the Asian Monsters anthology from Fox Spirit Books (and co-editor of the two previous volumes European Monsters and African Monsters), in which she talks about the coverage and variety of each volume, the importance of illustration and other images, and the future installments of the World of Monsters series. 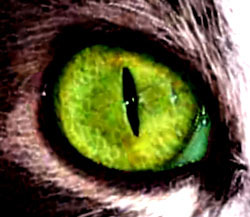 I'll try to remember to post updates here, but follow or keep an eye on the TFF page if you want to be sure not to miss anything. Our friend Ephiny Gale (whose lovely story “The Light Princess” appeared in The Future Fire in 2013, and “Five Tales of the Rose Palace” in 2018) has released a collection of her fantastic and unconventional short stories this week, under the title Next Curious Thing from Foxgrove Press. To celebrate this release, we invited Ephiny to the TFF Press blog to tell us a little more about her work.